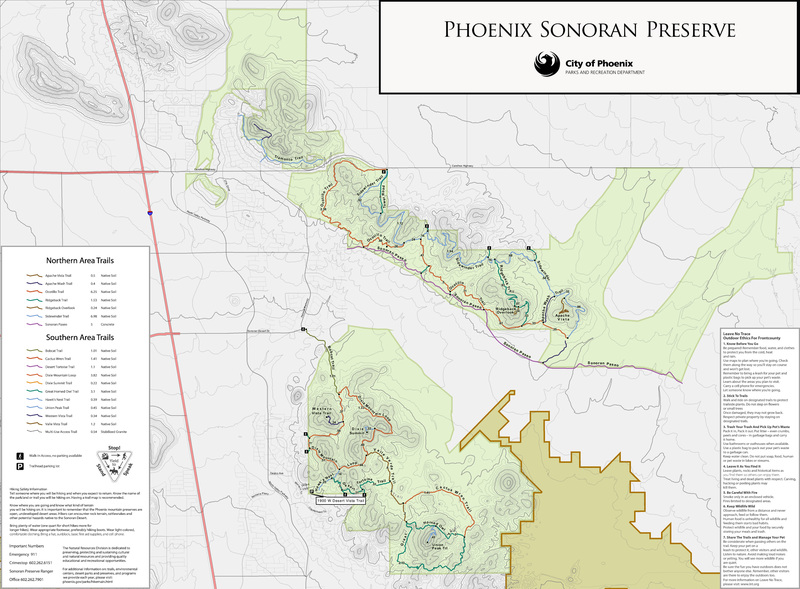 The Sonoran Preserve North has seen some trail development in the eastern end lately with the Apache Wash Loop, Badger Brawl, Esplanade and Cliff Walk Trails. Several connector trails provide multiple options for loops and better access. 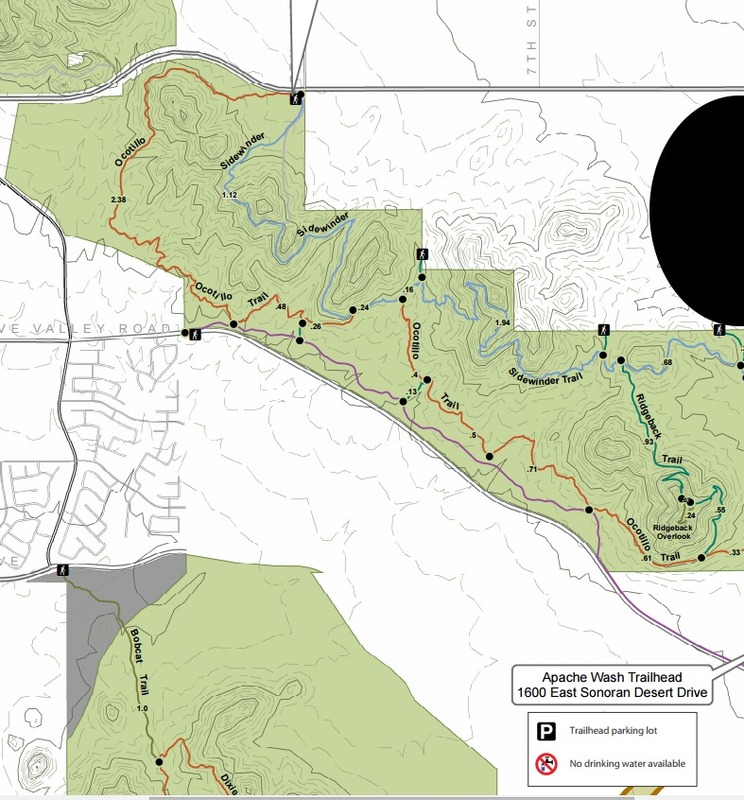 There is now a connector from the Sidewinder Trail to the new Apache Wash Loop located near the 14th Street Trailhead. From the gate at 14th street, proceed south a hundred or so yards until you link in with the Sidewinder trail. Shortly thereafter the connector to the Apache Wash Loop departs to the east. This short trail is fairly flat but crosses 2 washes and offers a variety of flora. 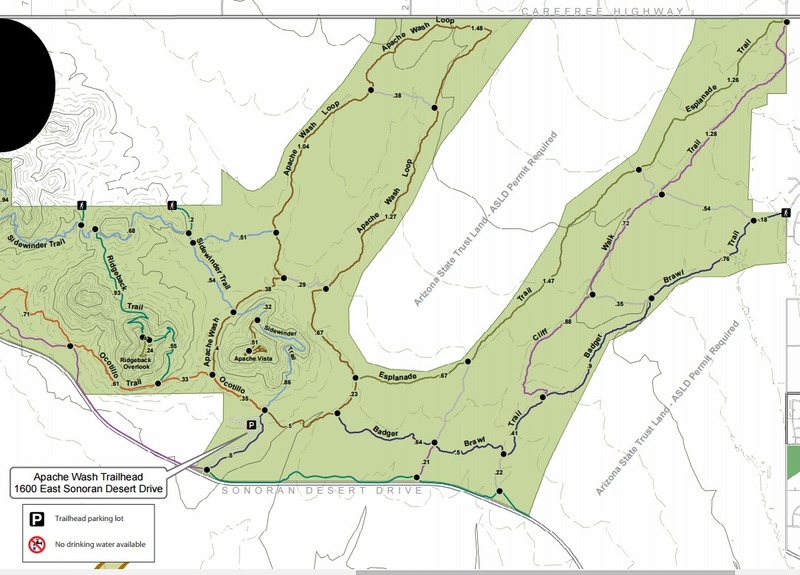 For those hikers approaching the Preserve from its northern side, this connector provides some nice options for loop hikes of greatly varying mileage using the newer trails in the eastern portion of the preserve. There is no water along this trail, at the 14th Street TH or at the Apache Wash TH 2 miles to the south. From Phoenix go north on I-17. Turn East on Carefree Highway. Turn south on 14th street. Park on the street at the intersection of 14th Street and Dove Valley.